Travelling overseas with your kids is logistically challenging – and more than a little exhausting – at the best of times. At the worst of times, the administrative burden can result in a check in-desk disaster and a cancelled trip. If you’re part of a blended family, in which one or both parents have different surnames to their children, this can only add to what is already a particularly stressful time. 1. Check the Expiry Dates! Ensure your kids’ passports have at least 6 months left until expiry. Some destinations allow travel with less than 6 months, but many don’t. On a trip of a lifetime to Kenya, one family was turned around at Gatwick. After a couple of days their passports were renewed, but the knock-on expenses as well as stress levels were extremely high! 2. Separated or travelling solo? You need parental permission. A handy shortcut for breezing through passport control. The official advice is to carry the originals or certified copies, however if all your other documentation is in order, a birth certificate photo may well suffice. Instead of carrying the precious originals, you can ask a solicitor to arrange certified copies for you at a minimal charge. Everyone with PR should have certified copies for each child, and then the originals can be safely stored away at home. 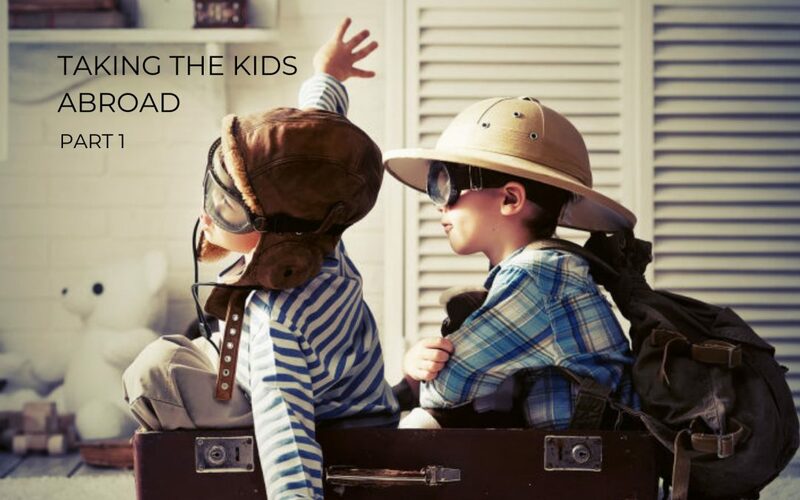 Coming next: Are your kids travelling abroad with your ex? How to manage difficult feelings, and practical considerations.